All Saints is proud to have a rich and diverse choral tradition. We sing traditional 4 part anthems along with a mix of world, jazz, and modern songs. An interest and passion for better worship and to know Christ are primary reasons to join. Fellowship in a small community makes music fun. 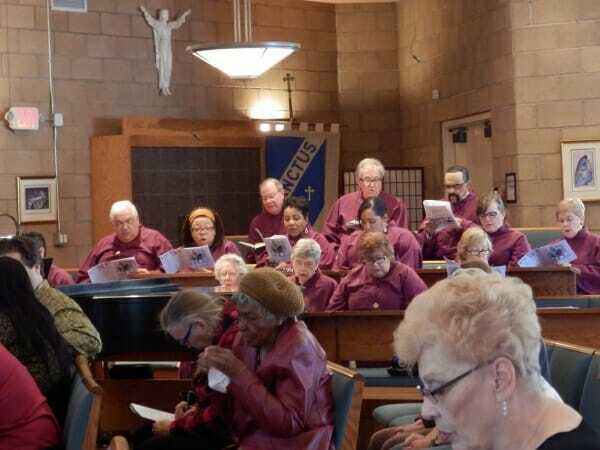 All Saints’ Choir has 15 to 20 members that represent every generation from teenagers to 90 years old with people from different cultural and ethnic backgrounds. Musical understanding helps, but a Spirit that is willing to learn is key. Choir rehearsals are Thursday from 7:30 PM to 9:00 PM. The choir sings from the Sunday after Labor Day to Pentecost Day and is off in the summer. Please consider joining the choir and learn the many facets of God through our diverse musical heritage. Congregation song at All Saints is liturgical, biblical based, and diverse. 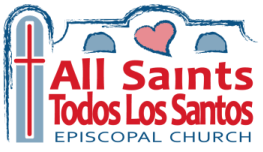 All Saints uses the full spectrum of resources for congregation song. Every hymnal available is used. This includes the 1982 hymnal, Lift Every Voice and Sing, Wonder Love & Praise, Voices Found, El Hymnario as well as traditions in a relationship with the Episcopal Church. We sing over 400 hymns over the 3-year lectionary cycle; capturing and helping illuminate the biblical readings for the day. As the liturgical season’s change, the musical settings change, bringing familiar repetition; yet deeper understanding of the timeless period we live. This diversity is captured in a fully printed bulletin that contains everything needed for worship.